Sacred to the Memory of / Elizabeth Emsley Raley / Beloved wife of William Emsley Raley / Born 19th January 1861, died 6th March 1908 / Ald. Lieut. Col. William Emsley Raley O.B.E. M.A. J.P. / Born 4th May 1859, died 5th May 1938 / Also sacred to the memory of Walter Hugh Raley 2nd Lieut. 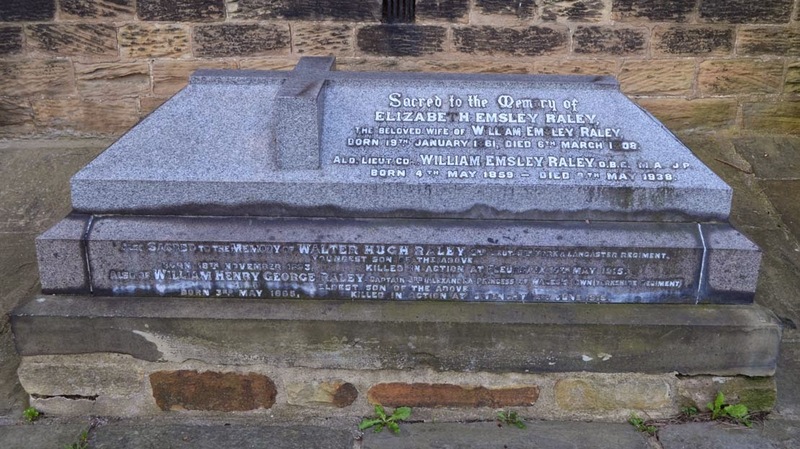 5th York and Lancaster Regiment / Youngest son of the above / Born 18th November 1893 Killed in Action at Fleureaix 14th May 1915 / Also of William Henry George Raley Captain 3rd Alexandra Princess of Wales Own (Yorkshire Regiment) / Eldest son of the above / Born 3rd May 1885, Killed in Action at Givenchy 25th June 1915. William H G Raley is remembered on the Le Touret Memorial in France and commemorated on the Commonwealth War Graves Commission website. Walter H Raley is buried in Y Farm Military Cemetery in France and commemorated on the Commonwealth War Graves Commission website. 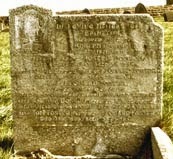 Hoyland Nether, Kirk Balk Cemetery contains thirteen Commonwealth War Graves from the Second World War. 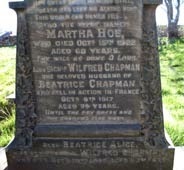 The majority of the photographs from the Hoyland Nether St Peter's Churchyard Extension and the Hoyland Nether, Kirk Balk Cemetery are by Brian Yarham and have been shared with the Barnsley War Memorials Project with his permission. Hoyland Nether, St Peter's Churchyard Extension contains fourteen Commonwealth War Graves from the First World War. 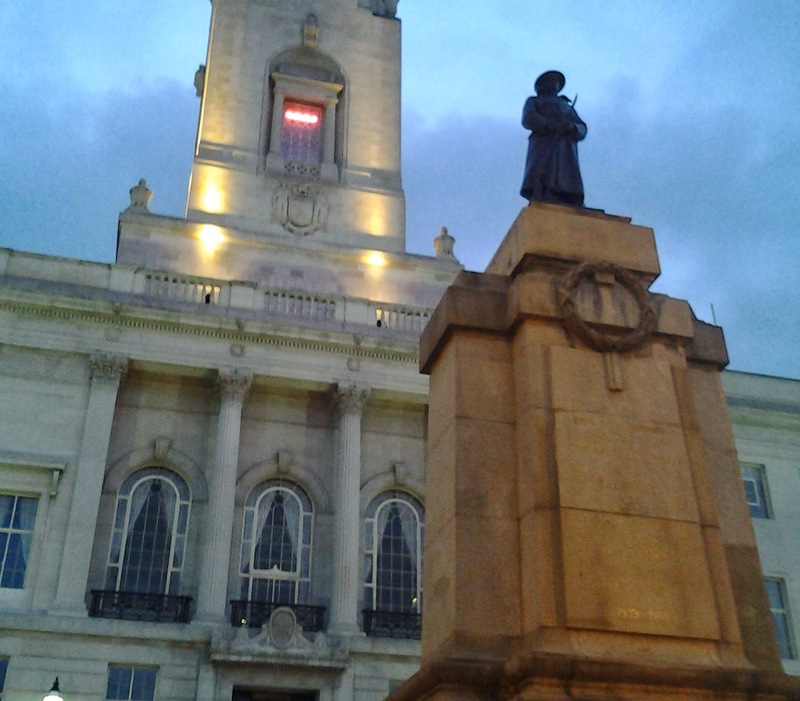 The Barnsley War Memorials Project has an entry on the South Yorkshire Through Time website with an overview of our project, weblinks and contact details. We have received advance notification of an event in April this year which will probably be of interest to our readers. This is a free event but please RSVP to contactsytt@gmail.com for guaranteed entry. Lunch will be provided so please let us know of any dietary requirements when booking. In Loving Memory of / Sec. Lieut. 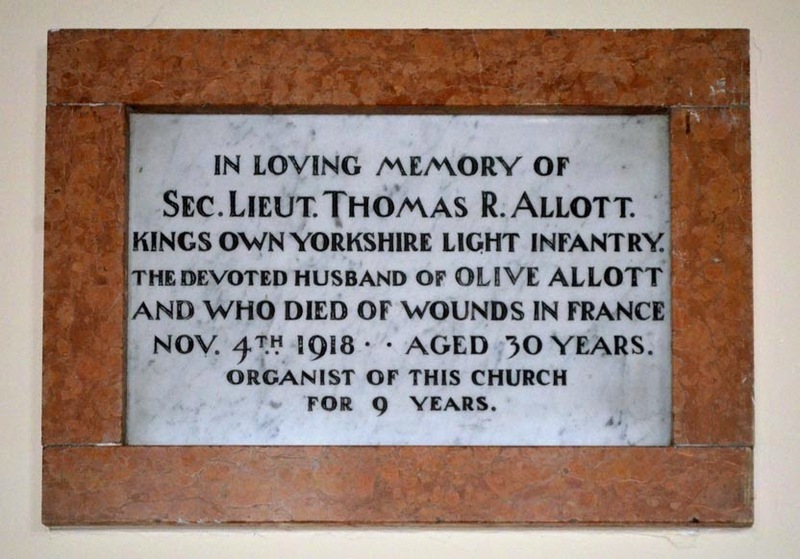 Thomas R. Allott / Kings Own Yorkshire Light Infantry / The devoted husband of Olive Allott / and who died of wounds in France / Nov. 4th 1918 - aged 30 years / Organist of this Church / For 9 years. Thomas Allott and other Cawthorne soldiers are mentioned in a piece in issue 31, Autumn 2014, of Memories of Barnsley. 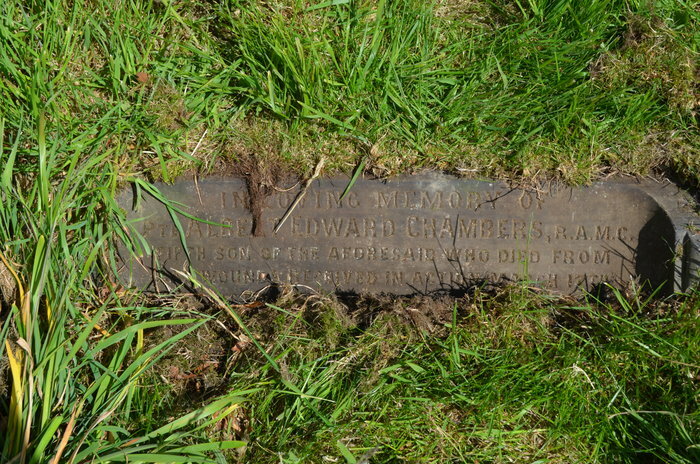 He is buried in Romeries Communal Cemetery Extension in France and commemorated on the Commonwealth War Graves Commission website.